Another week on set for the cast and crew is over and a new one begins tomorrow. Episode 8.07 of the final season is still in production and we have for you scoop from the set of Season 8. 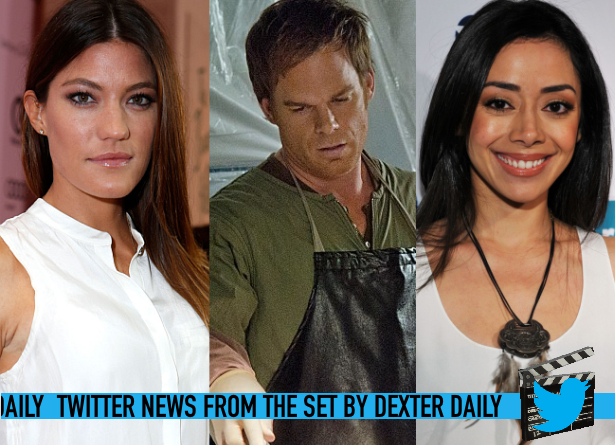 Skip the jump to take a look at two interesting tweets by Jennifer Carpenter and Aimee Garcia. Jennifer Carpenter tweeted the following photo during a break from the set of the seventh episode of Season 8.